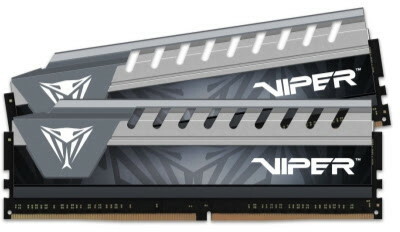 Patriot Memory announces the compatibility of its Viper 4 DDR4, Viper Elite DDR4 and Signature Line DDR4 memory kits with the new AMD Ryzen and AM4 platforms. The company tested their DDR4 memory on popular AM4 Ryzen motherboards (both X370 and B350 variants) like The Gigabyte AX370 Gaming 5, Asus Crosshair VI Hero, MSI X370 XPower Gaming Titanium, ASRock X370 Tachi and many more. Check out the official news below for more details. After extensive compatibility testing on X370 and B350 chipsets, using the AMD Ryzen R5 and R7 processors, and in partnership with key motherboard vendors, Patriot has developed a list of Ryzen compatible DDR4 parts. “After working closely with our motherboard partners, these compatible kits will deliver maximum performance at factory-tested speeds,” said Victor Chiu, DRAM Product Manager for Patriot. Offering compatible dual, quad and single configurations, with capacities ranging from 4GB to 64GB and speeds between 2133MHz and 3400MHz, Patriot Viper Elite, Viper 4 and Signature Line DDR4 Memory will provide both the every-day consumer as well as the PC enthusiast looking to upgrade their system to the new AMD Ryzen™ platform with reliable, award-winning, memory. For a full list of compatible Patriot DDR4 Memory can be download here in PDF. Testing was performed using the following motherboards: Gigabyte GA-AX370 Gaming K5 and GA-AX370 Gaming K7, MSI X370 XPOWER GAMING TITANIUM, X370 SLI PLUS and A320M GAMING PRO, ASUS ROG Crosshair VI Hero and PRIME B350-PLUS, ASROCK X370 Tachi, X370 Killer SLI, AB350M Pro4, Fatali1ty AB350 Gaming K4, AB350M-HDV, A320M Pro4 and A320M-HDV. Patriot is a leading manufacturer of high performance, enthusiast memory modules, SSDs, flash storage, gaming peripherals and mobile accessories. Founded in 1985 and headquartered in Fremont, CA, USA, Patriot is committed to technology innovation, customer satisfaction and providing the best price for performance on the market. Patriot products have become world renown for their extreme performance, reliability and innovation. Patriot sells its products through original equipment manufacturers, retailers, e-tailers and distributors throughout the world with operations in North America, South America, Asia and Europe. All company and/or product names may be trade names, trademarks and/or registered trademarks of the respective owners with which they are associated. Features, pricing, availability, and specifications are subject to change without notice.